Chris - 66 years ago the famous Bicycle Day occurred. Bicycle Day was when Dr Albert Hofmann, who was a researcher in Basel was working on something which has subsequently spawned an entire revolution. The psychedelic revolution. He took a famous trip home on his bicycle home from work after inventing what subsequently became known as LSD - Lysergic acid diethylamide. He was doing it by studying a fungus that grows on wheat. His discovery was entirely accidental. To tell us a little bit about it is Professor Philip Strange, who's the Director of Pharmacology at the University of Reading. Hello Philip. Tell us a bit about this momentous anniversary that we're celebrating today, in effect this week. Philip - Hofmann, as you said, was an organic chemist working in Sandoz in Basel in the 1940s. He was working on the chemical derived from the fungus ergot. One of the chemicals he made, based on the ergot, was LSD. On April the 16th, 1943 he was working on LSD and he experienced the funny effects including hallucinations after working with the chemical. He went home for the weekend and on the 19th of April - 66 years ago today - he came to verify these effects of the drug. He took a quarter of a milligram of the drug and experienced the same psychedelic effects again only much more strongly. It was actually a very large dose to take as we now know. He felt very odd that day, experienced these psychedelic effects and decided to go home. This was war time; there were no cars so he used his bike. The crazy bicycle ride home through the streets of Basel under the influence of LSD was the first demonstration of the powerful psychedelic effects of the drug. It's termed bicycle day in the psychedelic counter-culture. Chris - Although it obviously didn't harm him too much because he died last year at the age of 102. What was he actually trying to achieve? Obviously not to make an hallucinogen. He was working on these agents for some reason, presumably not with that reason in mind though. Philip - The LSD was just an accident, really. The Sandoz were interested in the business of making new drugs. They wanted to look at different sources. They chose a natural product - this ergot which grows on wheat and also on rye as well. It contains all sorts of interesting chemicals. For example, preparations of ergot have been used for years to quicken labour and the Sandoz isolated the actual compound: ergometrine from that. It's still used to stop haemorrhaging after childbirth. Chris - Because it constricts arteries, doesn't it? Doesn't the same drug also prove useful in the treatment of migraines by preventing the blood vessels in the brain from dilating? Philip - That's ergotamine. It's similar but it's a different compound. It works very similarly to the tryptan which everybody has taken over in the treatment of migraines. Chris - Do we know how LSD actually does what it does? Philip - We don't know clearly. 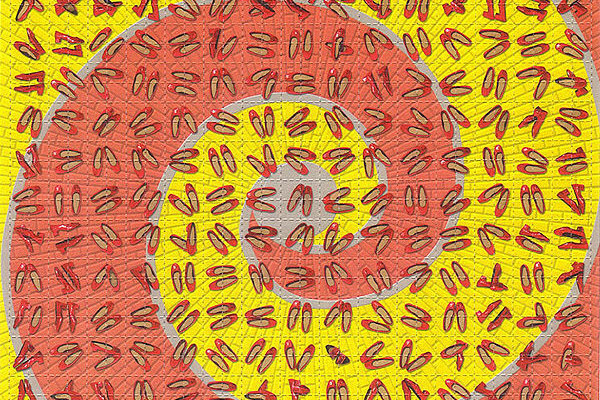 What LSD does is it hijacks some of the receptors in the brain for one of the chemicals called serotonin. Serotonin is a neurotransmitter - a brain chemical which is very important for transmitting messages in our brain. It's involved in all sorts of different things like emotion and constricting arteries as you've said. It acts by binding to proteins called receptors. LSD basically binds to those receptors and hijacks and affects it. It's not surprising it has these complex effects. Chris - Why is it that some people experience bad outcomes from taking this though? Even Hofmann himself said that you can sometimes get bad trips where rather than seeing nice things you see nasty things. Philip - I don't know the answer to that question, really. One thing is if people take too much. It was espoused by the hippy culture and if they used it in a very uncontrolled manner there that's one reason. Other reasons are that people are all different in the way they react to these things - different drugs and so on. Also the preparations of the drug that people are being given are not pure. Chris - Just to finish off, I think this does tell us quite a bit about how we go about finding drugs. Helen was saying that, if you look at an octopus there may be genes which it uses to make toxins and those toxins that kill things could also prove therapeutically useful. I think the science that Sandoz was doing that accidentally led to the generation of LSD, in itself was a sound way to discover drugs. Philip - It is and it's still used by some companies nowadays. Particularly the deep sea organisms contain new structures on which you can base new drugs.